Do I Have to Pay IRS Taxes on Student Loan Forgiveness? 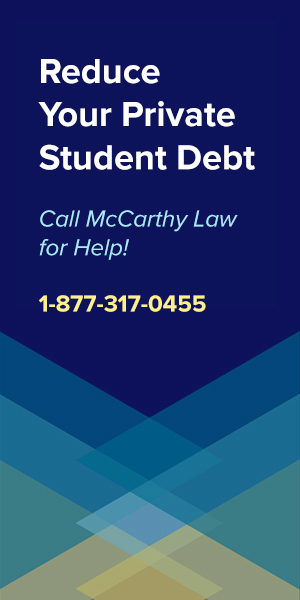 Unfortunately, yes, student loan forgiveness benefits are currently counted as taxable income by the IRS, which means that in most cases, you’ll end up having to pay a percentage of whatever amount of student loan debt you have forgiven to the IRS. According to the IRS’s latest tax rules, any student loan forgiveness benefits that you receive will need to be declared on your IRS tax return, and will be counted against your taxable income for the year, meaning that they will add to your eventual tax bill. If you receive any Federal Student Loan Forgiveness, or Private Student Loan Forgiveness benefits, then the IRS will require you to include amount you had forgiven as taxable income, and you’ll end up paying a percentage of that amount based on whatever tax bracket you fall into. There is, however, one simple way to avoid getting taxed on student loan forgiveness benefits, and that’s to qualify for benefits under the Public Service Loan Forgiveness Program, a special forgiveness package offered to people who work in public service positions. Hold that thought for now, as I’ll explain how that works later on in this post. First, let’s talk about how student loan forgiveness benefits are taxed. How Much Taxes Will You End Up Owing? Most people are now fully aware that all the income-based Federal Student Loan Repayment Plans offer complete student loan forgiveness benefits after you’ve made 20 years worth of payments, but few people realize that this forgiveness comes with a huge tax liability, so let me explain how it works. Let’s say you borrowed $50,000 in student loans to go to college, and after making 20 years worth of payments, you’ve still got $10,000 in debt left to pay off. When that $10,000 in student loans gets forgiven, the IRS is going to require you to add $10,000 worth of taxable income to your annual tax filing paperwork, and you’ll be forced to pay taxes on that $10,000 you received at the rate of the tax bracket you fall into. As I stated above, you’ll end up being taxed on your forgiveness benefit based on the income tax bracket that you fall under. If you pay 25% in taxes, and you have $10,000 of debt forgiven, then you’d owe $2,500. If you pay 35% in taxes, and you have $10,000 of debt forgiven, then you’d owe $3,500. 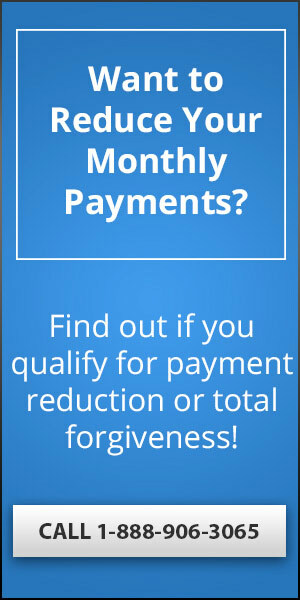 One thing to keep in mind here is that not only will you be charged for whatever forgiveness benefits you receive, but also that this payment to the IRS will be due all at once, unlike your regular monthly student loan payments, which only require you to pay off a small amount each month, over a long period of time. 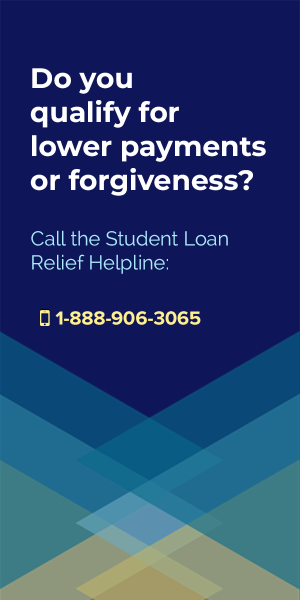 The reality of student loan forgiveness programs is that when you receive your benefit, you’re likely to get far less forgiven than you might think, since you have to subtract the amount you’ll owe in taxes from whatever amount is being forgiven. For some people, especially those on fixed incomes, or who have great repayment plans with very low monthly payments, student loan forgiveness can be more of a burden than a blessing. Is Student Loan Forgiveness Right For You? At the end of the day, you’re going to have to decide whether or not student loan forgiveness benefits are the right thing for you. While it’s definitely nice to get your loans discharged, if that means taking on some enormous tax liability, then pursuing forgiveness benefits may not be in your best interest at all. In fact, there are a couple things to consider when thinking about taking on a big tax bill, especially since there’s virtually no way to get rid of it! 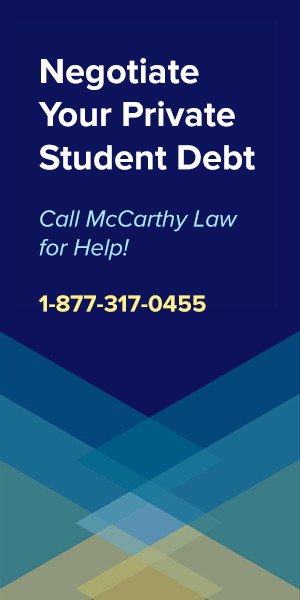 The sad truth about student loan forgiveness benefits is that they can end up costing you more than they save, especially because it’s become extremely difficult to qualify for an IRS Tax Debt Settlement, and nearly impossible to receive IRS Tax Debt Forgiveness. Also, while I’ve made it pretty clear on other pages of my site that you may be able to Get Rid of Student Loans by Filing for Bankruptcy, there’s very little chances that the IRS will allow you to discharge your outstanding tax debt via the same process. If you thought that your student loan servicer was bad, just wait until you owe money to the IRS! They don’t mess around, and they’re well-known as being the most persistent, unforgiving, and aggressive money-collecting agency in the Federal Government. Once you end up owing the IRS money, you should pretty much resign yourself to the fact that they’ll make sure to get every single cent you owe them, plus whatever they can rack up in fees, fines and penalties. Not only will you get hit with a big tax bill when your student loan forgiveness benefits kick in, but that bill will also end up being due all at once, in a single lump-sum payment, rather than stretched out over time in smaller, affordable monthly payments (like your student loan debt!). And while it is possible to qualify for an IRS monthly payment plan, it’s not easy, and requires proving to the agency that you simply cannot afford to make the payment they’re demanding all at once. To qualify for one of their extended repayment plans, you’re going to have to go through a long, difficult, and obnoxious process of showing them all your financial information, and convincing them that they’d destroy your life by forcing you to pay up all at once. Plus, even if you do qualify for the extended repayment plan, and are allowed to stretch your payments out over a period of a few years, you’re going to get charged an additional fee for that convenience, of course. On the bright side, the good news is that most people will benefit from receiving student loan forgiveness benefits in the long run, even if they do end up being forced to pay taxes on whatever amount of debt gets forgiven. Why? Because it’s still totally worth having $20,000, $50,000, or even $100,000 (or more!) in debt forgiven, and instead only having to pay something like 25-35% of that amount to the IRS. Unless you’re one of those unlucky people with a massive outstanding student loan debt, or one of the lucky people who have qualified for very tiny monthly payments, you’re likely to want to pursue forgiveness benefits. Also, while the Government and your student loan servicing company doesn’t necessarily want you to know about it, there is a secret to this story, and a relatively easy way to avoid having to pay any taxes on the amount of money you end up having forgiven. 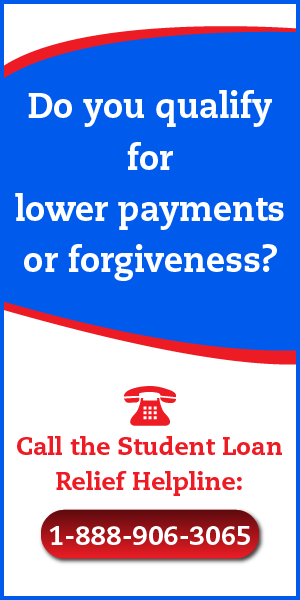 Read on to find out how you can avoid paying taxes on your forgiven student loans. 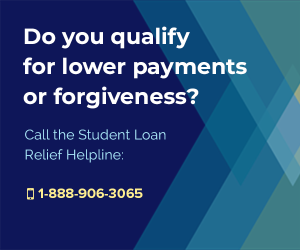 The easiest way to avoid being taxed on your Federal student loan forgiveness benefits is to qualify for forgiveness under the popular and powerful Public Service Loan Forgiveness Program. I love the Public Service Loan Forgiveness Program because it’s not only the fastest way to get rid of your debt (allowing you to qualify for 100% forgiveness after making just ten years worth of payments), but also because it’s the only forgiveness program which does not require you to claim the benefits you receive as taxable income. Why do people qualifying for PSLF not have to pay taxes? Because the Federal Government created the PSLF program to encourage people getting into the field of public service, and this benefit program offers tons of rewards for those who answer the call. Not only is PSLF the fastest, cheapest way to get rid of your student loans without paying for them, but it’s also the only way to write off your debt without getting hit by a huge IRS tax bill. Qualifying for PSLF isn’t easy, because it requires you to work full-time in a qualifying position that counts as a “public service field”. Public Health Services: Doctors, Dentists, Nurses, Licensed Medical Technicians, Janitors, IT People, Medical Records People, etc. Spot the common thread running throughout all the roles mentioned above? The easiest way to get a job that counts for PSLF is to make sure that you’re working for the Government (in any capacity, at the Federal, State or Local level) or a 501(c)(3) Non-Profit Organization. To qualify for PSLF benefits, you can’t just be employed by a Government or Non-Profit, but you have to work for them full-time, meaning at least 30 hours per week. And you’ll have to do this for a period of at least 10 years, making 120 monthly student loan payments in-full, and on-time, before you’ll be eligible to receive your forgiveness benefit. But it’s worth it, because if you want to avoid paying taxes on whatever amount of money you end up having forgiven, then PSLF is pretty much the only way to make it happen. My advice to those of you with high debt loads or low monthly incomes is to seriously consider getting a Government or Non-Profit job, even if the salary isn’t that high, because it’s the best way to get rid of your student loans quickly, and without getting taxed on the forgiveness benefit. I do also want to point out that there are other benefits to working in public service as well, as it not only makes you feel good, but also provides an enormous benefit to society, making our Federal, State, and Local communities better places to live. 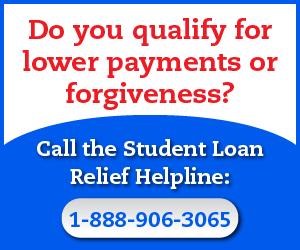 Where Can I Learn More About Federal Student Loan Forgiveness Benefits? To get an overview on how you can get rid of your Federal loans, be sure to visit my page on Federal Student Loan Forgiveness Programs, here. Student loan forgiveness benefits have been on the table for nearly a decade now, and were first popularized as part of President Obama’s Student Loan Reforms originally introduced way back in 2007. However, President Trump’s Student Loan Forgiveness Plans don’t necessarily jive with everything that we’ve been promised, and his current Department of Education Secretary Betsy DeVos has been quite vocal about shutting down the existing structure and completely overhauling the system. In fact, just recently, Betsy DeVos announced that she’d like to cancel the Public Service Loan Forgiveness Program completely, and no one knows what the actual status of this program will be when the first wave of forgiveness benefits are supposed to be released in October of 2017. The threat of being hit with a massive tax bill after receiving student loan forgiveness benefits is no joke, especially for people who end up getting very large balances forgiven. This is especially troubling for anyone who attended advanced degree programs, like Law School, Medical School, Master’s Programs or PhD Programs, and who may owe $200,000, $500,000 or even more. Could you imagine the relief you’d feel in getting that massive amount of money forgiven? How about the despair that would sweep in immediately afterward once you realized that you’d be forced claim that amount of money on your annual IRS tax filing and then pay taxes on it?? 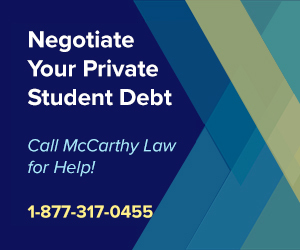 Fortunately, some legislators have taken up the call and are fighting to pass new laws which will prevent any Federal student loan balances forgiven from being counted as taxable income. This legal change would have a huge impact on all of the Federal Student Loan Income Based Repayment Plans, including Pay as You Earn, REPAYE and the Income Contingent Repayment Plan, as these plans automatically provide forgiveness at the 20 year mark, but don’t have any protections for avoiding a massive tax liability as a result of receiving that forgiveness benefit. There’s no telling if or when any new laws will be passed, however, and with President Trump’s Administration and Betsy DeVos’s Department of Education looking pretty hostile to expanding benefits, it’s not a sure thing that tax relief will be created, but I’m keeping my fingers crossed, and you should be too. If you want to calculate the amount of taxes you’ll end up owing when your loans are forgiven, it’s not that hard, as long as you’re willing to make some reasonable assumptions. First, you need to figure out how much money you’ll end up having forgiven at the time you become eligible for the benefit. To do that, you’ll first need to calculate the total amount of debt that will be left over at the point you receive forgiveness. Next, you’ll need to estimate your annual income to determine which tax bracket you’ll fall into, so you can figure out the percentage your income is getting taxed at (this too, will have to be a projection, since no one can tell for sure what annual tax rates will be as they are prone to changing over time). If you can figure out the two factors above, you can multiply your forgiven loan balance by the percentage you’re being taxed, and you’ll have your answer as to how much taxes you’ll owe on whatever student loan debt gets forgiven. There is a worse case scenario for student loan forgiveness and taxes, and that’s if you end up borrowing a large amount of money, signing up for one of the income based repayment plans, and getting monthly payments so low that you’re not even covering interest accumulation on your debt. Why would what be such a big issue? Because if you’re only paying a tiny percentage of your outstanding debt each month, and that payment amount isn’t high enough to cover the principle plus interest accumulation, then your debt balance could actually grow over time (instead of going down). MANY Americans find themselves in this exact situation, and what most of those people don’t realize is that even though they’re happy to be working toward student loan forgiveness benefits on those loans, that forgiveness could destroy their finances entirely when the final tax bill comes due. Here’s a hypothetical example: you borrow $50,000 for school, graduate making very little money, so little that you qualify for a $0 monthly payment under the income based repayment plan. You think you’re on easy street, because you’re paying nothing, and you know that after 20 years of paying $0 per month, your debt will be completely forgiven. Sounds too good to be true, right? Well it is! Because each month your $0 payment is failing to cover the interest charges accumulating on your loan, which means that each month (and each year) your debt will continue to rise as the interest charges are capitalized (meaning added to your original principal loan balance). 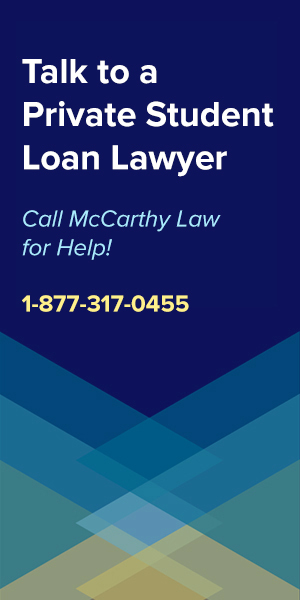 By the end of the 20 year mark, and the time that you earn access to your forgiveness benefit, your debt could have ballooned up from $50,000 to $100,000 or more, and even though it feels like a great deal to have your loan forgiven, now the tax bill comes due. Instead of making $0 monthly payments, you’ll get hit with a one-time, lump-sum bill for 20%-35% of that outstanding loan balance, meaning you could be charged $25,000 – $35,000, or even more. Again, you’ll need to do the math to determine the specific details of your financial situation, but it’s something to consider, watch out for, and attempt to avoid! 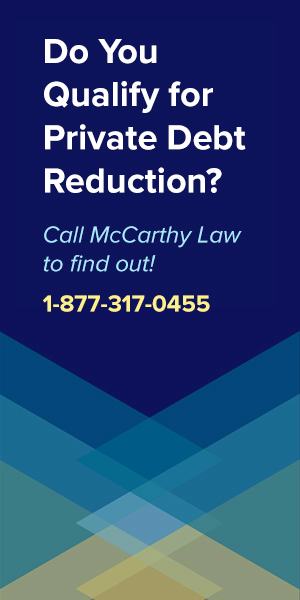 If you’re struggling to deal with IRS back taxes or any other related tax problems, please check out my new website: Forget Tax Debt. On Forget Tax Debt, I offer free advice, tips, tricks and techniques for handling complicated tax-related issues, from Filing and Paying Back Taxes, to qualifying for Tax Debt Forgiveness, negotiating Tax Debt Settlements, signing up for the IRS Fresh Start Program, and avoiding IRS Phone & Mail Scams. I been reading through your articles, and they are very informative. I appreciate the wise words. I was a victim at AI in Pittsburgh and it has left me in a hole, to the point where I was living off 20 bucks every two weeks just to barely hold my loans off. If my mom has the parent plus loan and she is working for the State, would her position and her being on the parent plus loan, quality for the Public Forgiveness? There’s a good chance that your Mom’s portion of the loan WILL qualify, but Parent PLUS Loans are a lot trickier in terms of when they work and when they don’t. Have her contact whoever Services the loan to see if it’ll work for her. You could also try getting in touch with the Student Loan Ombudsman Group and asking them to look into this for you. 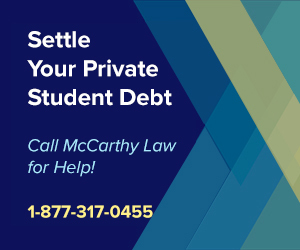 They are a group of Government-backed attorneys who provide free legal advice on student loan-related issues, and they’ll be able to answer your question with 100% authority.